Sig Sauer issued a recall for SIG716 DMR®, SIG516® Carbon Fiber and SIGM400® Predator models which may have an improperly heat-treated hammer. If you own one of these use the Serial Number lookup on the recall website and follow the corrective steps provided there. It’s today folks so get on it pronto!!! After a heated debate HB2 is gone baby gone. All that remains is a signature from North Carolina Governor Roy Cooper and we can settle the matter for at least a short while. Ever since the HB2 was introduced to counteract an ill conceived Charlotte ordinance people have been up in arms to have it repealed. In December the deals fell through when neither side wanted to compromise. Today HB2 finally died with the passage of House Bill 142. The bill was a gutted bill so check the Ratified version on the NCGA website to see what actually passed. So what does this bill do exactly? It repeals HB2 and makes any new local ordinances void until at least December 30, 2020. So the Religious are all up in arms because their children are not protected. These people are what some might call ignorant. HB2 offered no protection any more than a gun buster sign offers protection. HB2 was even worse, there was no repercussions stated in the legislation if someone did go against the statute. Basically trespassing was all someone could be charged with and in most cases they would simply be asked to leave. One who preyed on children would still be able to prey on small children and if they did then they would be subject to the criminal offense based on their actions, but not because of HB2. It was a sham only created to counteract the Charlotte ordinance which did not protect anyone from anything, it simply ensured ordinances like those in Charlotte ceased to have merit. Now the LGBTQ (did I get all those abbreviations?) community is all up in arms because they find the legislation used to repeal HB2 to be discriminatory. I just cannot follow that logic. Read the legislation, it doesn’t discriminate, it simply allows only the General Assembly to set regulation access to restrooms, showers, and changing facilities. Of course the Supreme Court or any Court can dictate that and supposedly that was the thought process behind the December 2020 expiration date for one Section. I haven’t spent time listening to many LGBTQ statements, but one LGBT lawmaker (he left off the Q) was up in arms because the LGBTQ representatives were not included in the repeal discussions. How many freaking people does it take to write repeal legislation and handle out a deal? You say Roy Cooper is your Governor and you want him to speak on behalf of the LGBTQ community, then let him do his job and he WAS a big part of the repeal deal. Here’s the dirty little secret which really isn’t much of a secret. The Governor and General Assembly bowed to the pressure of the NCAA to repeal HB2. They did not listen to the people, the news, various idiotic performer boycotts, or manufacturers who chose to build/relocate elsewhere. They caved to pressure from the NCAA and basketball. Yep, sports are what cause compromise and change and it should show the citizens of NC who is really in charge. It isn’t your religious group, your LGBTQ discrimination claims, or your common sense, it is sports, namely basketball. So to you zealots on the left and right you better watch out because the NCAA is coming down the lane. At least we now all know where to go to take a piss and who owns NC! It seems like the ATF might actually understand more than we give them credit for, but their hands are tied. A White Paper created by Ronald Turk, Associate Deputy Director (Chief Operating Officer) of the Bureau of Alcohol, Tobacco, Firearms and Explosives (ATF), is making the rounds and it seems to be filled with many intelligent points which our leaders should consider. Mr. Turk is number two at the ATF and hopefully people will take note of his opinions stated in the white paper. Take some time to read what he wrote on Supressors, C&R firearms, NICS checks, record retention, and other topics. It is well worth your time. Trayvon Martin’s Parents Running For Office? I just shook my head in disbelief when I saw a headline indicating the parents of Trayvon Martin were considering running for office. A tragedy happened five years ago in Florida when Martin was out obtaining ingredients for Lean and ran into an overzealous community watch volunteer with whom he struggled and he died as a result of his actions. Now two parents who could not control their 17 year old son in school nor out are suddenly fit to hold public office. I guess stranger things have happened, we all remember Marion Barry winning election after smoking crack so why shouldn’t the parents of a teen looking to mix some drank be considered for office. Personally I try to find the most qualified individual for the job, but I don’t think being the parent of a slain teen qualifies you for anything more than a position as a grief counselor. H.R. 38 – Can It Be Magic? H.R.38 – To amend title 18, United States Code, to provide a means by which nonresidents of a State whose residents may carry concealed firearms may also do so in the State. I can certainly dig National reciprocity. After jumping through the hoops in NC it would sure be nice to know with certainty my permit is valid without having to wade through websites only to determine a particular state is not on board with your permit. Here’s to hoping it makes it all the way through! 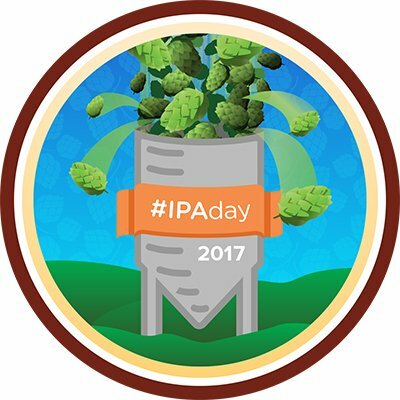 Not long ago I posted an apology to Sierra Nevada for my app review of Celebration. I went back to the same establishment recently and part of the problem was they served the beer in a frozen glass. I did not pay attention to it at the time, and it was part of the reason the aroma and flavor were muted. I’m not a fan of chilled or frozen glasses and try to order a room temperature glass when I am in a bar or restaurant where their practice is to serve a cold glass. I have no problem with them being available for consumers who want them, but would prefer to be presented with an option as opposed to a default cold glass. Today in 1933 the 21st Amendment was ratified and Prohibition in the United States officially ended. Celebrate the day by enjoying your favorite alcoholic beverage just because you can! I am starting to see a wish list of things develop including removing suppressors from the NFA list and Constitutional Carry. In reality the suppressor change would be a welcomed one, but in order to pass everyone must realize they are not silent, they only suppress sound. It would be great for hunters or at the range and while it would not negate the need for hearing protection it would greatly reduce the noise created. I’m not sure if it is a hot-button topic for most legislators, nor if the NRA is concerned about removing items from the NFA list. As far as Constitutional Carry I don’t see that this as something which will be tackled anytime soon. On the other hand it is important to realize there will never be another time when control is in the hands of those most likely to be against gun control. The gun control advocates see concealed as the wild west when the reality is those with permits are law-abiding citizens and those seeking Constitutional Carry feel it is already their right. I actually like a training element on the law, but would certainly support sweeping change to make it less cumbersome to obtain a permit. I recently renewed my permit and despite being an instructor in the state certified by the NCDOJ still had to complete the application and will have to wait up to 90 days for the permit to arrive. It is a system in need of a serious revamp when someone who has been fingerprinted and is an instructor cannot simply have their permit renewed on the spot. Anyway, I don’t see either popping up soon, but stranger things have happened. It will be an interesting period for a few years starting in January, hold on to your hat! It finally happened, we missed posting for a day. I knew sooner or later it would happen and yesterday either the post was miss scheduled or we simply forgot to schedule it in the first place. In truth I’m surprised it did not happen sooner, and it probably will happen again at some point in the future, but we will do everything we can to keep the blog daily as long as we can.